It appears that giving away prizes is addictive, because we’re doing it again this week! We still have some exclusive items, compliments of the people over at NECA, that we think you gamers might enjoy. 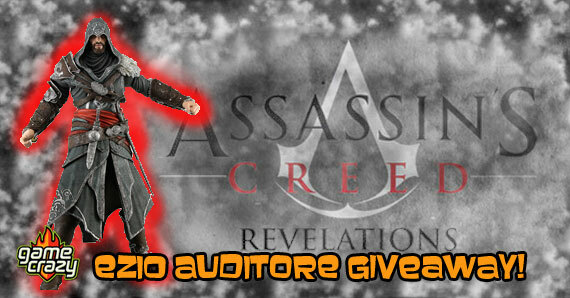 This week, its the the Ezio Auditore action figure from Assassins Creed! Even if you’re not into Assassin’s Creed (which you should be), the holidays are coming up on us and it could make a great gift for a friend or family member. Participation is easy, so we encourage all of you gamers to try and get in on the action and test some of your Assassin’s Creed Knowledge. Based on the video game! 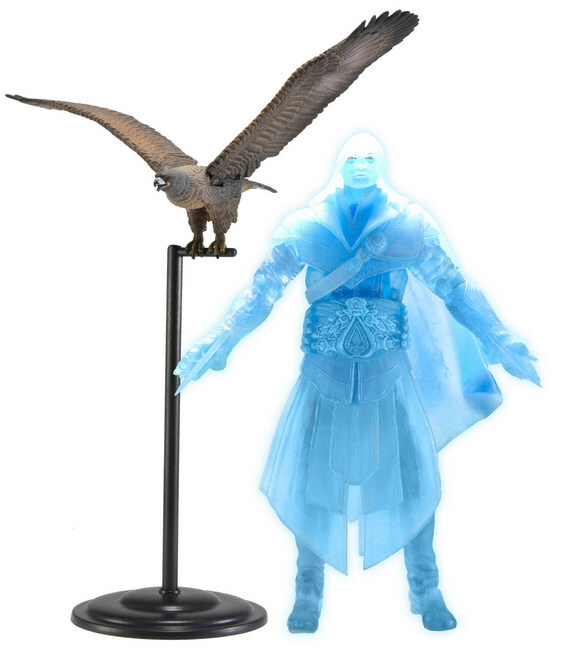 This eagle vision figure refers to the Ezio Auditore’s sixth sense and one of the most helpful characteristics in the Assassins Creed series. 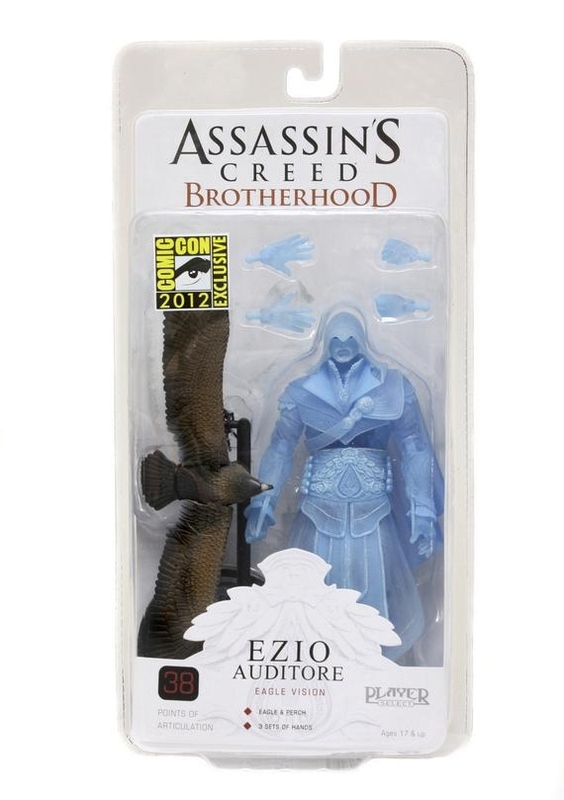 NECA has had a few different Ezios lately, but the Eagle Vision Ezio is truly something unique in the collection of Assassin’s Creed action figures, with the translucent look and the included eagle accessory. This highly-detailed figure has over 38 points of articulation. Standing nearly 7′ tall, Ezio Auditore comes with an Eagle and Perch as well as 3 sets of hands! It was only available during the 2012 San Diego Comic Con and never offered at retail! People outside of the U.S. may particpate, but we can only ship prizes within the U.S.
Good luck to all participating gamers, and like always, keep a lookout for future giveaways! 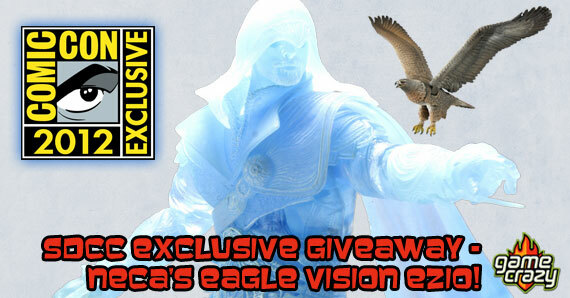 Assassin’s Creed Giveway Rd 2 – Revelations Ezio Auditore Action Figure Gears of War 3 Giveaway- Win a 2012 SDCC Exclusive Elite Theron Action Figure! 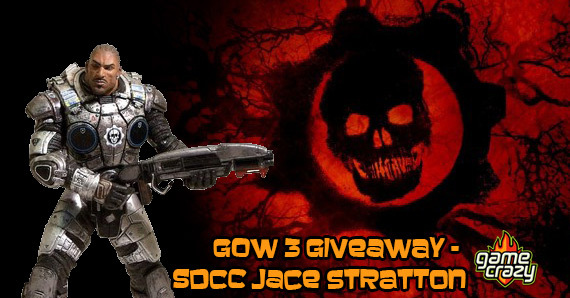 Gears of War 3 Giveaway – SDCC Exclusive Jace Stratton Action Figure Gears of War Giveaway – 2012 SDCC Exclusive NECA Gears of War Poster Ultimate Resident Evil Giveaway: Win the entire 10th Anniversary Action Figure Set! 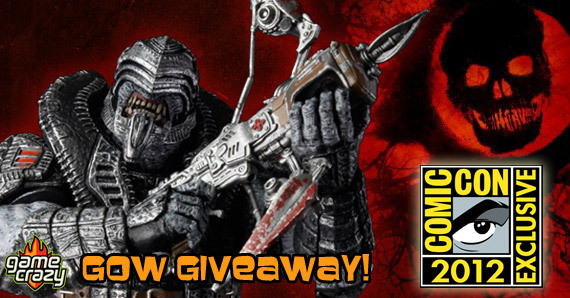 Dante’s Inferno Giveaway – Win a Dante Action Figure Plus a NECA T-Shirt! Dead Space 2 Giveaway – Light-Up Isaac Clarke Action Figure & NECA T-Shirt! 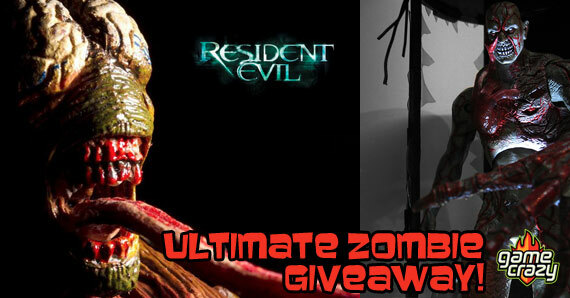 BioShock 2 Giveaway – Win a Big Daddy Rosie Action Figure! This entry was posted in Contests & Giveaways, The GC Blog, Toys and tagged Assassin's Creed, Ezio Auditore, gamecrazy contest, giveaway, neca, xbox 360 by summerm. Bookmark the permalink.